Why hello there, Furness. Welcome to week fifteen. We’re going to keep very calm and not think about how fast this term is going…oh Jesus. Anyway, we’ve got a lot for you to look forward to this week. Seriously, it’s a lot. This Saturday, your fave bar crawl is back, and better than ever! This time, the theme for the 15 Hour Bar Crawl is…Monopoly! That’s right, we’re going to be making our way round Lancaster like it’s a Monopoly board, with drink deals, interactive extras and the cheapest tickets to date! Tickets will be sold on Thursday in the TV room from 1pm – 6pm. They’ll be £6 (!!!) and that includes drink deals, your 15 t-shirt and entry fees. Keep an eye on the event page for all updates, including info on drink deals. We can’t wait!! This Wednesday, we’re bringing back every Furnessian’s fave karaoke session – Trevaoke! Bring your friends to Trev and sing your heart out to some beloved tunes! 7:30pm in the JCR room. Self Love & Self Care Night! Don’t get lost in the fog of Valentine’s Day – it’s important to love yourself, too! Take care of yourself and pop down to the TV room on Tuesday night at 6pm for face masks, fruit and more! You deserve it! Last week Bar Sports went up against County! Men’s darts lost 6-3, men’s A pool lost 5-4 and B’s lost 6-3. Women’s pool won 6-3 (keep up, lads!) and women’s darts was cancelled. Doms won 2-1! Table Tennis beat County 13-6! In Netball, all A’s games were cancelled, but B’s lost to Fylde 6-36. The Mighty Mountains lost to Enchantresses (Pendle) 4-15. In football, the B’s drew with Fylde 1-1. Next week, Bar sports and Table Tennis go up against Bowland! For more info on Furness fixtures and scores, check out our sports page! Extrav & Welcome Week Committee! It’s your last chance to sign up for our Extrav Committee! Our first meeting will be held next Monday! If you’ve already signed up, we’ll message you in the next few days. Don’t miss out on the chance to get involved with the event of the year! Message the Furness Facebook if interested! Very soon we’ll be organising the meeting of the Welcome Week Committee! You’ll be responsible for working with the JCR to organise fresher events and help out during the week. Watch this space for more info! Don’t forget we’re still taking applications for Welcome Week Reps for 2019! It’s a great opportunity to make friends, have some responsibility and it looks lovely on your CV! You can apply HERE. Applications close on Sunday 24th February. Before applying, please read the terms and conditions, which you can find here. Every Sunday, Bailrigg FM are kindly allowing Furness students to send in their music requests from 4pm-5pm. For the third year running, Lancaster University’s Gin Festival returns with more gins than ever before. Come down and try your hand at our traditional pub quiz! Starting at 8.00pm with free entry. Lesley English, Faculty Librarian, has been appointed as the new Deputy Senior Advisor. We would like to congratulate Lesley on her appointment and look forward to working with her in the College. All are welcome at the Feel Good Friday event on the 15th February, organised by the Natural Healthcare Centre. There will free tasters, vouchers, information and stalls, and relaxation in the form of acupuncture, aromatherapy and much more! Fylde Common Room, 12pm-3pm. And that’s it, folks! Told you there was a lot going on. Hope you all have a lovely lovely week and look after yourselves! See you next time! Happy New Year, Furness! Hope you’ve had a lovely Christmas! Who’s excited for term two, hm? Bet you’ve been missing Trev’s Times the most, haven’t you? If not, we’ve got loads of stuff going on to get you back in the mood. Also – a huge hello to all our new Furness students! Let’s see what’s happening this week! Next up is the ReSESHers Refreshers Night Out on Friday Week 1. Forget about those post-holiday deadlines for a night and celebrate surviving the first week of term! We’ll be starting the night in Trev with games and a DJ set (join us here if you want to get your hands on one of our free sugar wristbands! ), then we’ll be off to Hogarths in town (with drinks deals) and ending the night in Sugar!! We can’t wait! Our next event is our Sunday Movie Night! Join us in the TV room at 7:30pm and get comfy. What film? You decide! We’ll be putting up a poll later on this week! In preparation for this years Patriots (week 8), we’ll be holding a mini-tournament on January 23rd (Wednesday week 2). Our netball, football and bar sports teams will battle it out, followed by a night in Sugar! Let’s show Cartmel who’s boss! Our welfare team are starting off the year with afternoon tea on Friday week 1. Bring your friends, meet your new welfare officers and enjoy some free snacks for a relaxing afternoon. Furness Foyer, 2-3pm. We’d like to give a warm welcome to all our new international Furnessians! Come and join our international pizza night on Wednesday to meet interesting people from all over the world (+ free food). You’ll also get to meet your brand new international officer (Harriet) and the SCR! Any ideas for the college? From week 2, we’re going to be putting out a suggestion box (or a google drive) so you can have your input into what gets discussed in JCR meetings. Get thinking! Dr James Mawdesley, Research Development Officer (FHM), has been appointed as the new Senior Advisor of Furness College. James will take over from Kevin Huggett who stepped down as Senior Advisor at the end of last month. Begin the new term with a brew! Tea and Chat sessions are continuing this term, 12-1pm on Wednesdays in Bowland Bar. Relax, connect with other students and enjoy a free hot or soft drink. The Transitions Team host the weekly sessions to encourage all students to take a break and look after their own wellbeing. Make time for tea and meet some new people! Take a mid-week break from your studies and enjoy some fresh air. Join the Transitions Team on a relaxed 30 minute walk along the campus woodland trail. We meet in Alexandra Square, outside The Base, at 3pm on Wednesdays during term time. It’s free and no sportswear is needed. Join the College Sustainability Challenge – £750 for the winning team! Furness College has been invited to put forward a team to compete in fourth annual College Sustainability Challenge. In a team, you will be presented with the various challenges the university faces concerning environmental sustainability and asked to come up with innovative ideas and solutions. As a team, you will need to collaborate and access the expertise of the network of academics and professional staff and students across the University in order to develop your idea. The competition will climax in Week 19 when ideas will be pitched to a panel of experts. The winning team will be awarded £750 with the runner-up receiving £250. If you would like to be a member of the Furness College team please register your interest here. If you would like more information about the competition, please contact the Environmental Projects Team in the Students’ Union. We encourage participants from all faculties and of any level of experience! Further information available on the Students’ Union’s website. Join in the Colleges Charity Challenge 2019 to support a worthy cause and boost your CV. The challenge launch event is on Thursday 17th January, at which support – and pizza! – will be given to teams. The event is open to students already part of college teams after the Charity Challenge 5thDecember Info Session and also anyone who couldn’t attend that event but would like to join a college team now. There will be a short presentation of key information and time to ask questions of staff supporting the challenge as you progress your ideas as a team. Book your place via TARGETconnect. If you have any questions or can’t attend this session, please email collegescharitychallenge@lancaster.ac.uk. And that’s it! Quite a lot going on this week, folks, but lots of stuff to look forward to. See you next week! The new JCR will take their roles after Christmas. They’ve all got lots of new ideas for the college and can’t wait to start! Last week Bar Sports took on Cartmel! Men’s A team pool lost 7-2, women’s pool won 5-4, women’s darts won 4-3, men’s darts won 8-1 and doms won 3-0. This week, bar sports are up against Grad! Monday and Tuesday at 7pm. For football, the A’s game was cancelled but the B’s beat Cartmel 5-0! The third round of the Carter Shield is going down this week, and the game is…basketball! Message us if you’re interested in playing, or just come down to support! It’ll be in the sports hall at 12pm on Saturday! Whether you’re already involved in fundraising and volunteering, or looking for a good opportunity to boost your student experience and CV – take up the Colleges Charity Challenge next term and see how you can make a difference! Register via TARGETconnect to attend the Charity Challenge Info Session on Wednesday 5th December 1-2pm in Management School LT3, for more details about the challenge and to meet like-minded students interested in taking part. Refreshments provided! If you have any questions or can’t attend the info session, you can find out more on Facebook or by emailing collegescharitychallenge@lancaster.ac.uk. Don’t forget the Winter Ball is next Tuesday (of week 10). Tickets have now SOLD OUT. Don’t forget to collect them from Jo Dickinson’s office. Can’t wait to see you all there – dress classy! Don’t forget the quiz – this Wednesday at 7:30pm! This week’s specialist topic is…LGBTQ+! As usual, £1 a head to play! If you’re feeling the pressure from studying, come and say hello to your College Wellbeing Officers in the Library Foyer between 12 and 2pm on Wednesday 5th and Wednesday 12th of December. Get some tips for managing study and exam stress, along with a healthy snack. We’re also providing a chill-out area in the Base, complete with relaxing activities, so come along with your friends and take the pressure off for a while! And that’s it for this week, folks. See you next time! Freshers Countdown…3 Weeks to Go! Obviously, moving out of home and into university is huge, no matter where you’re from, but moving to a new city, and for some of you, a whole new country, is bound to be slightly daunting. To help, we’ve created the ‘Guide to Lancaster’, with all the important information on what and where you can find all you need in the city centre. Brace yourselves, folks, this is going to be a long one! Recently the Lancaster routes have been changing, but any 2, 3 or 4 bus (usually the U2, U3 or 4) will take you to the city centre, though the2 and 4 buses will take about 15-20 minutes while the 3 should only take 10. The easiest stop to get off at in town is Common Garden Street (which is just off the high street) or the bus shelter. 32090 Taxis are based at 9 Church Street, around the corner from Mcdonalds and a few minutes from the Sugarhouse. Lancaster’s Railway Station is on Meeting House Lane, with available bus travel to the university. Lancaster’s main supermarket is Sainsbury’s, located on Cable Street in the northern part of the city. It’s easy to find, as it’s 30 seconds from the bus shelter and opposite the Sugarhouse. For those living on campus, there is a free bus service to and from Sainsbury’s that runs on Wednesdays (term time) from 11:00am to 6:00pm, though you may be required to show your receipt on the return journey. There are also various corner shops dotted about, and an Asda and Aldi nearer Morecambe. Although Lancaster is not exactly the next Arndale Centre, there are still plenty of places to find what you need. For clothes, the main stores include: Topshop, Topman, New Look, River Island, Primark, JD, Accessorize, Next, Marks & Spencers and TK Maxx. For you bookworms, there are two Waterstones, as well as stores such as Boots, Superdrug, Lush, Pandora and Clintons, etc. There are also budget stores (perfect for us students) such as Wilkinsons, Poundland, and B&M. Beyond this, Lancaster is great for independent stores, and don’t miss the chance to check out the market that takes over town on Wednesdays and Saturdays – you can even find some of the market stalls on campus on Thursdays and Fridays! However, if you’re still missing some go-to shops from home, Preston and Manchester are only a train ride away! Usually the most popular place for students is the Sugarhouse, which opens Wednesdays, Fridays and Saturdays. This place is run by Lancaster University Students Union and only opens to students of Lancaster and Cumbria (though you can bring a non-student friend with you as long as you are able to sign them in at entry). Don’t worry about getting to sugar either, the Sugarbus comes periodically to take you there and bring you back to campus. The times are listed below. To find out more on the Sugarhouse, click here. Other popular clubs include Dalton Rooms, Hustle and the brand new Generation Bar which is taking over from Chupito. Dalton Rooms is located in Dalton Square, and popular for its Lollipop Mondays (soon to become Skint Mondays) and Cheese-on-toast Thursdays. To note: Glow Rooms is part of Daltons, just to clear up any potential confusion. Hustle is located next door to Wetherspoons on Spring Garden Street and is popular for its cheap drinks, ball pit and DJ Wez. You really have to experience Hustle for yourself before your mind is made up about it. As for Lancaster’s bars and pubs, the main ones (and popular for students) are Wetherspoons, The Crafty Scholar, Hogarths (for all you gin lovers), Sphere, The Study Room, Mint, Pendle Witch and many more! If you don’t get a chance to visit these bars during Freshers Week, you definitely will at the Furness 15 Hour Bar Crawl in November! I bet you’re all wondering where the best places to eat are, hm? Unfortunately, Lancaster is lacking in the Nandos and Wagamama department, but there are still plenty of places to go! In terms of fast food (and post-night-out scran) there’s the standard Mcdonalds and KFC (also Subway, though there is one on campus which opens until 4am). There are also plenty of takeaways, such as Starvin’ Marvin, Simply Delicious, among others who are always open until early hours, as well as Dominos, Golden Jade (Chinese food), Nice n Spicy and Bombay Balti (Indian Food) who all deliver to campus. If you’re looking for restaurants, you can find a Bella Italia and Pizza Hut (though the latter is nearer the north of town, behind Farmfoods). There are some lovely independent places, such as Mollys and Paulo Gianni’s (if you’re feeling Italian). Pubs such as the White Cross and Merchants, as well as the Study Room and the Crafty Scholar all serve delicious food. And you can never go wrong with a W etherspoons. There are plenty cafes around town, alongside your standard Costa and Starbucks, and if you like Greggs, you’ve come the right place. For treats, Patisserie Valerie and Kaspa’s desserts are new to town! Williamson Park (for the beautiful views, walking up the Ashton Memorial and the mini zoo – with meerkats!) Go here for more info. Below is a map of the city centre. The arrows point the direction of the one-way system around town. You’ll want to keep this in mind when driving. Obviously, you don’t need to worry about moving off campus before you’ve even moved in, but here’s some info for when you start looking. 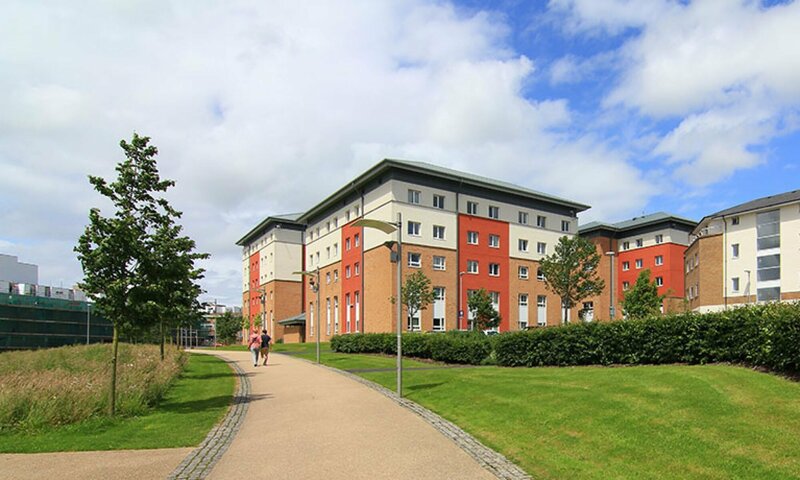 For those moving into town, there is off-campus accommodation known as Chancellors Wharf on Aldcliffe Road. Find out more about it here. However, if you’re planning to move into a shared house, the more popular letting agents are LUSU Living (who are part of Lancaster University Student Union), Yellow Door Lets and Student Housing Lancaster. If you need some extra help finding a place when the time comes to it, Lancaster University Homes is a website dedicated to helping you find safe, legitimate off-campus accommodation that has been approved by the university. Check out the website here. And that’s about it for now folks. If we’ve missed something you want to know, or if you have any questions at all about the uni or Furness College, message the Furness Facebook page and we’ll do our best to answer them. And hey, this is just the basic stuff, there is so much more of Lancaster to discover for yourselves…roll on October! Some of our JCR are stepping down, which means we are looking to co-opt in new officers for the positions of VP Socials and Events, VP Welfare and Socials and Events. 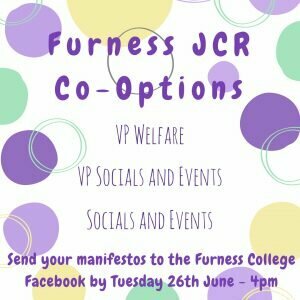 If you’re interested, send a manifesto for your chosen position to the Furness College Facebook page. The deadline is 4pm on Tuesday 26th June. 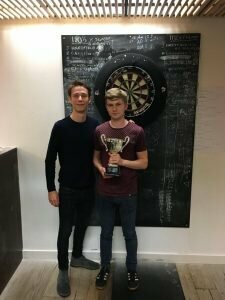 A big well done to Tom Davison (Schoolman) for winning Furness’ third annual Darts Invitational after winning 9-6 (finishing with a 112 check!) in the final with Joshua Waddington (J-Wad). A big thanks to everyone who took part in this years tournament! 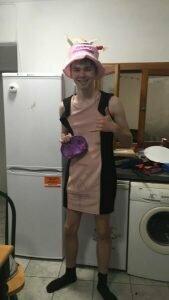 Up the darts! The university will be hosting an Open Day on Saturday 14th July, and we are looking for Furness students to represent the college. The rate of pay is £8.90 per hour, and you will be provided with campus accommodation the night before and paid travel to and from Lancaster. For more information, please email Jo Dickinson by Wednesday 27th June. 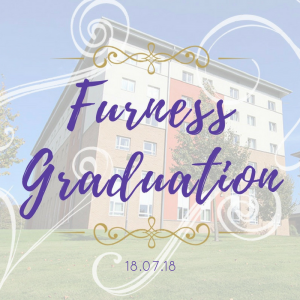 Please don’t forget to collect your graduation guest tickets from the Furness College Office, room A13 Furness before Friday 29th June 2018. Apply soon & don’t miss out on this unique opportunity. After a long long wait (and lots of preparation), extrav week is finally here! Furness Extrav – LOST COLLEGE – will be this Thursday, and we can’t wait! If you’re still unsure of what to wear, here is a handy pinterest board for some inspiration! And that’s it folks! That was a lot of information, I’ll admit, but now it’s time to enjoy your last week of term. The last few weeks have flown by, and whether you’re spending this time on campus or you’re already packing for home, we hope you all have a lovely summer! For those of you graduating, good luck for your results and whatever you’ve got waiting for you out there, and for the rest of you – see you in October!! Hello there Furnessians! We’re going on to week 28 now – so close to the end! Good luck to those who still have exams, and to those who have finished – have fun celebrating! Let’s see what we’ve got going on this week! 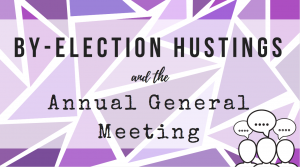 Now nominations have close for the JCR by-elections, it’s time for hustings! All are welcome to come and watch the candidates speak and convince you why they should be your next JCR officer. Afterwards we invite you to sit in on our JCR meeting and raise your issues and ideas. Plus – free pizza! Tuesday – 7:00pm in Furness Lecture Theatre 1. Voting will open on Wednesday 10am and close this Friday at 4pm. We’re never gonna give you up in this week’s quiz, because the specialist topic is…80’s Music! (Don’t hate me, I couldn’t resist) Wednesday, 7:30pm in Trev, £1 a head to play. No need to make brunch plans on Friday, come to our chill-out welfare coffee morning for some good food and even better company. This Friday in Furness Foyer, 11am-2pm. SU Leader Awards! As we approach the end of the year, it’s almost time for the Student Union Leader Awards! It will be held this Thursday (location to be decided) along with a BBQ and games. Click here for more information on the event and here to nominate JCRs, Liberation work and Societies. And that’s it for this week folks, quite a quiet week, but there’s a lot coming very soon. See you next time!